Moving house or having to clear a property when a loved one passes away is a very stressful time and a professional, knowledgeable and efficient house clearance service will take much of the pressure off. Our valuer will visit the property and advise on all aspects of both sale by auction and disposal of remaining items. Everything from valuable antiques and collectable items to specialist lots and household belongings like fridges and shed or loft contents. We also auction vehicles from house clearances. If an estate requires a written valuation for Probate purposes this will be carried out quickly and efficiently, the valuer will advise on the cost for this service, after which we will arrange for our removal team to clear the full contents to the auction room for sale and dispose of all unsaleable items. We welcome enquiries from all appointed Executors, Solicitors, Estate Agents and family members dealing with all matters relating to estate administration and probate valuation. Michael can be contacted on 07802 606203, via the saleroom office on 0114 281 6161 and by email. In June 2014 we were delighted to announce that we were joining forces with Michael Dowse of A. E. Dowse & Son. Our firms are two of the regions oldest established and most respected Antique and Fine Art Auctioneers and Valuers. 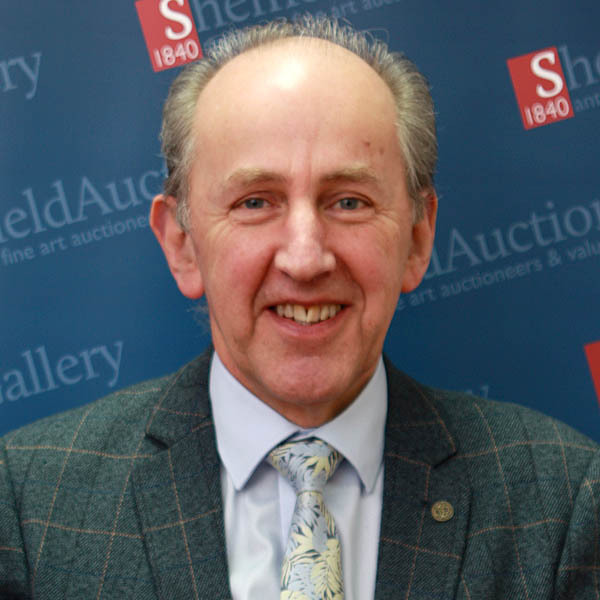 A third generation auctioneer and fellow of the National Association of Valuers & Auctioneers Michael undertakes all professional appraisal and written valuation work, along with talks to community and society groups in the area, plus a regular advice phone-in show on BBC Radio Sheffield. Michael has a wealth of experience and is available by appointment for home visits for all manner of Probate and Insurance valuations plus appraisals for auction sale. If you would like to discuss a community or group talk please contact Michael directly. Private daytime tours of the Auction Gallery with a talk (and fun quiz!) are also available, please contact the Saleroom office. Alison can be contacted on 07957 912587, via the saleroom office on 0114 281 6161 and by email. Alison joined the Leeds branch of Phillips Auctioneers in 1979, which later became Bonhams. She ran the European and Oriental Ceramics and Decorative Arts Department for the north of England until 2007 when the Leeds saleroom closed. Since that time she continued at Bonhams Leeds office in a similar valuation role until joining us at Sheffield Auction Gallery. Alison covers all disciplines, appraising a wide variety of objects for auction and carrying out written insurance and probate valuations. She is very well known and respected by professional and private Clients within the West Riding of Yorkshire and beyond. Since 2003 she worked as an off-screen valuer for the BBC programme "Flog It!" and subsequent to then, she now has the privilege of being an off-screen valuer on Paul Martin’s show - Make me a Dealer. 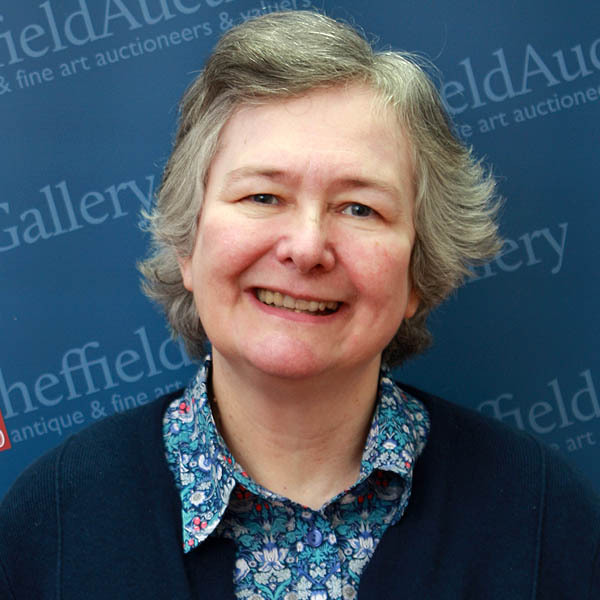 As a very experienced addition to our team, Alison's focus will be on expanding our connections in the West Riding of Yorkshire with the intention of establishing a state-of-the-art Antique & Fine Art Auction Saleroom in the area. Alison hosts weekly Valuation Roadshow Events throughout the West Riding region. Please see where Alison is on our Valuation Days page. The latest auction updates and news straight to your inbox. You can easily unsubscribe yourself. Your details are confidential and never passed onto third parties.